Washington Camp Insurance. If you are a supervisor or director at a camp, then you know all too well that it's fun and games until someone gets injured. Kids love camping and being in the great outdoors with their friends, but it is your job to ensure their safety while protecting the camp from any lawsuits and potential liability. Camps allow patrons to experience outdoor activities away from home. They may be private or public and are often affiliated with a religious or social organization. Some specialize in facilities for the physically or mentally handicapped. Camps range from day camps with no lodging facilities to full-service camps with restaurants, sleeping quarters, and spas. Campers may arrive at the camp by bicycle, boat, bus, horseback, motorcycle, or private car. Camps usually have hiking trails, open shelters for classes or meals, playgrounds, restrooms (often with showers), a retail convenience or grocery store, and a service or utility building for laundry or recreation. Recreational activities offered may include boating, canoeing, climbing, fishing, horseback riding, hunting, swimming (in a pool or lake), or tennis courts. Some offer lots or pads to allow tourist-type camping in tents and recreational vehicles. Others may offer storage of vehicles in the off-season. With the proper insurance, you can rest assure that the carefree campers attending camp are protected and that your camp isn't left holding the bag for accidental injuries and other claims. To get the best Washington camp insurance, working with an agent who is seasoned in the type of insurance you need is important. 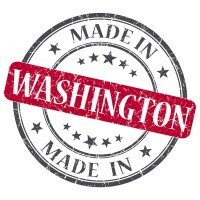 Washington camp insurance protects your business from legal liability with rates as low as $67/mo. Get a fast quote and protect your camp now. Liability coverage for camps can be extremely difficult to place due to the nature of camp operations. Consider their clientele. Some camps may accept children as young as five years old. Almost constant supervision of children of this age would be needed to prevent injuries. On the other hand, camps that accept older children have many more activities, including swimming, boating, horseback riding, etc., that create more risk of accident and injury. In addition, any camp owner or director is well aware of the catastrophe hazard from a conflagration, floods or rising water, food poisoning, drowning or epidemics. Premise liability claims. You have the responsibility to review the activities of the camp and to inspect the camp's facilities to ensure that campers are not injured. Claims resulting from failing to perform needed background checks on staff. From employees to counselors and volunteers, it is your responsibility to perform background investigations to make sure that counselors have no history of sexual or child abuse. If you fail to do so and a problem arises, the camp can be held responsible for the staff's actions. Risk of injuries. Unless a waiver has been signed by the child's parents, then camper injuries generally result in the camp being held responsible for medical bills and other claims. Adult Camps - Concerns are typically such camps are two or three day stints with adults who are looking for a chance to indulge certain hobbies or recreation, such as hiking, fishing, sports, etc. However, other camps may represent far different exposures, catering to participants who are seeking special guidance or rehabilitation services. While there is a reduced need for the level of supervision, greater evaluation should be turned toward any specialized counseling and other skills required by the specialty offered by such camps. Air Camps or Flight Schools - Concerns are subjects participants to aviation risks, so loss severity is likely to be the primary concern. Boating Camps - Concerns are watercraft activities, whether they involve canoes, water-skis, sailing, jet skis, windsurfing, or other watercraft expose participants to drowning and injury. Boot Camps - Concerns are such camps cater to older children who have demonstrated significant behavioral issues, so their focus is on instilling and maintaining discipline while involved in, typically, challenging activities. Physical activities that rely on teamwork are common. Camp staff may need special training as well as background checks. Camps For The Disabled - Concerns are inherently dangerous activities heightened by greater vulnerability to injury and higher need for full-time supervision, including special medical needs. Counseling Camps - Concerns are these camps specialize in treatment for participants battling problems with various addictions and related problems, high supervision, higher liability exposures, including malpractice. Day Camps - Concerns are the particular exposures depend upon the focus of chosen activities. However, camps that do not feature overnight stays tend to cater to younger participants. Therefore, the number of staffers tends to be fewer and activities are usually recreational. Extreme Camps - Concerns are operations specialize in high-risk activities such as mountain climbing, skydiving, skiing or snowboarding, bungee activities, endurance racing or trials. Fitness Camps - Concerns are designed for improving the physical health of participants, special attention should be paid to staff's expertise and training in several areas including health, first aid training, supervision, and monitoring participants. Such camps also make use of nutritionists and chefs as well as dieticians. In these camps, the activity workers should also be in superior physical shape since they are responsible for demonstrating many exercises or leading campers in physically challenging tasks. Gender Specific Camps - Concerns are such camps can involve any number of activities and themes, the only difference being that they only serve a single gender, so that fact needs consideration when evaluating such submissions. Martial Arts Camps - Concerns are these camps often feature high levels of physical contact amongst participants as well as offering programs involving physical conditioning and endurance training. They may also involve competitions and exhibitions of developing skills. Military Camps - Concerns are such camps often have programs involving physical conditioning and endurance training, use of obstacle courses as well as combat and weapons training. Outward Bound - Concerns are campers are given just the barest of necessities and must exercise serious survival skills in the wilderness for extended periods. Performing Arts Camps - Concerns are these camps cater to budding young artists who seek an outlet for their creative side. At these camps, the main focus is usually on that specific hobby, and camp employees who deal with the campers, like the counselors or administration, usually must have vast knowledge of a given hobby. As campers get older, experts in the field are crucial to provide the best camping experience. Special attention should be made regarding equipment and materials that are traditionally used with given activities which may give insight to loss vulnerabilities. Religious Camps - Concerns are faith based camps typically cater to providing activities and skills-building for their younger members. Whatever activity they specialize in will also involve their given religious practices. Staffers likely are adult church members. Scouting Camps - Concerns are Boy and Girl Scout camps are very popular children's camps. Camp staffers typically are former scouts. Camp exposures are similar to those found in fitness and performing arts camps. Activities usually center on involving scouts in earning merit badges and developing various skills and scout-related ceremonies. Note that these also share similarity to Gender Specific Camps. Scuba Diving Camps - Concerns are underwater adventure risks to watercraft risks. Space Camps - Concerns are they include additional exposures of being run jointly by local (business) and government owners. Travel Camps - Concerns are camps that sends participants around the U.S. and to foreign countries, exposing campers to hazardous areas, some with hostile political climates. Winter Camps - Concerns are winter camps focus on cold weather activities that subject participants to possible hypothermia and frequent injury. Although camp is inherently fun, there are also inherent risks for the camp to consider. These include camper injuries and negligence or misconduct from employees. A good summer Washington camp insurance policy protects the camp from liability problems that they face, include the cost of any accidents to staff and campers. If the camp is run as a business, then it is also important to protect your business activities with business insurance. A comprehensive policy for your camp provides liability coverage, accidental medical payment coverage, coverage for property damage, worker's comp, and interruption of business. One of the most valuable coverage types is accidental medical insurance coverage. This coverage protects campers, staffers, visitors, and others. Because accidents can and do happen all the time at camp, this policy can be invaluable for compensating injured parties who require medical care. Group coverage typically takes care of expenses for injuries and illnesses that occur at camp or those that begin at camp and cause problems later on. Some types of policies also cover dental accidents and injuries. Usually, these Washington camp insurance policies come in two options, including primary medical policies that pay on top of the injured/ill person's health insurance and one that acts as a primary policy in and of itself. Primary insurance is ideal for groups, especially for members with no existing health or accident insurance. This insurance pays claims directly after an accident, and it pays for covered occurrences even if you have additional insurance. Excess insurance is one that covers deductibles for the injured party's personal insurance plan. It might also pay for expenses and coinsurance that are left over after personal insurance claims are closed. It is usually less comprehensive when compared to personal insurance. Bodily injury. If someone becomes injured on your camp's property or because of some action made by the camp or its employees, this insurance covers claims, including the cost of medical treatment and pain-and-suffering awards. Property liability. This type of insurance covers damage to third parties by the camp or its representatives. Medical payments. This coverage provides payment for medical expenses for injured persons. It may exclude campers. Sports camps are always popular, and they are hosted by colleges, local organizations, and schools for kids interested in football, basketball, volleyball, and soccer. 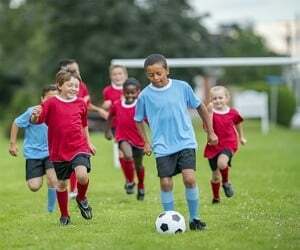 Special coverage for sports camps usually comes with group accidental medical payment coverage that the company customizes to the camp's particular sport. In some instances, camps require waivers from participants prior to beginning a session at camp. The type of sport hosted at the camp largely determines the risks involved and thus, the premiums charged. For example, a golfing camp might pay much less than a contact football camp. Your licensed commercial agent can help you understand the nuances that affect your Washington camp insurance rates. Premises liability exposure is high due to the large number of visitors to the camp. Participants can trip, slip or fall on rough terrain, be struck by vehicles or projectiles, attacked by animals or insects, suffer exposure to harsh weather elements, or drown. Camp counselors working with children or the disabled must undergo thorough background checks, including criminal. Supervision is vital to protect the campers. On-site medical care must be available as camps are often located in remote areas away from hospitals or clinics. Activities should be age-appropriate, with safety measures in place. If open fires are permitted, all fires must be extinguished and cooled to prevent the spread of fire. The condition of access roads, security of the camp, and the condition of the park are other liability concerns. Water purity should be checked on an ongoing basis. Playground equipment must be properly maintained and documented. Water sports such as swimming, boating, and fishing, must be carefully monitored and appropriate signage and guards in place. Personal flotation devices (PFDs) should be provided when on lakes or rivers. Life saving equipment should be accessible at all times. Personal injury losses may occur due to alleged wrongful eviction, invasion of privacy, or discrimination. Some camps may use volunteers rather than employees in many positions. These volunteers should be subject to the same background checks as employees and receive similar training. Volunteer injuries are often not covered under workers compensation, so accident and health policies may be appropriate. Workers compensation exposure is high. Camping activities are generally done in remote areas not easily accessible to emergency assistance. Slips, falls, insect bites, and back injury from lifting, hernia, sprains, and strains are common. Camp counselors can be injured hiking in natural terrain, from projectiles, by falling objects, encounters with wild animals, or drowning from water sports. Food preparation operations can result in cuts, scrapes, and burns. Drivers can be injured in over-the-road accidents. Contact dermatitis or respiratory ailments may result from janitorial and maintenance responsibilities. If there are other operations, such as lodging, logging, tree trimming, or application of herbicides or pesticides, refer to those narratives. Property exposure is high as camps are generally located in remote wooded areas miles away from public firefighting resources. There should be fire detection and firefighting capabilities within the camp to control a small fire. If there is a snack bar or restaurant, all cooking equipment should be properly controlled. If the facility is seasonal, a caretaker should stay on premises or a security service should check each day for vandalism or small fires. Crime exposure is from employee dishonesty. Background checks should be conducted on all employees handling money. All ordering, billing, and reimbursements should be separately monitored functions. Both internal and external audits should be conducted at least annually. Inland marine exposures include accounts receivable for campers' deposits and payments, contractors' equipment used to maintain the premises, and valuable papers and records for campers' records and contracts with vendors. Theatrical property, audio-video or musical equipment should be covered with a commercial articles floater. Business auto exposure may be limited to hired and non-owned for employees running errands. If there is transport, pickup, or delivery of campers, all drivers must have appropriate licenses and acceptable MVRs. Vehicles must be regularly maintained and records kept. You should also consider a business policy or BOP (business owner's insurance policy) for your camp. 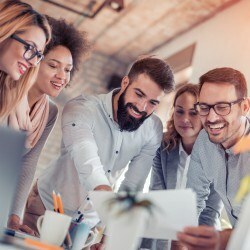 This Washington camp insurance policy type affords coverage for loss of income, commercial autos, worker's comp, and other coverages that are specific to the operation of your business. Again, work with your agent to mitigate your camp's risks with the right level of protection. Find informative articles on miscellaneous businesses including the types of commercial insurance they need, costs and other considerations. An insurance contract is an agreement where one party obligates itself to make good the financial loss or damage sustained by a second party when a designated event occurs. The event must be fortuitous and happen by accident. The named insured must have insurable interest at the time of loss. One final point is that in order for any contract to be considered insurance, there must be a risk of loss. Fortuitous Event - An occurrence largely beyond the control of any involved party; happening by chance; accidental; for example: fire, lightning, windstorm, explosion or flood. Insurable Interest - In order to recover from a loss to property, the holder must have an insurable interest in the property at the time of the event or occurrence. An insurable interest is any right, title or interest in property where the holder of that right, title or interest sustains financial loss if the property is damaged or destroyed. Any lawful and substantial economic interest in the safety or preservation of the property from loss, destruction or damage also constitutes an insurable interest. An entity does not have to be the property owner to have an insurable interest in it. Examples include, but are not limited to, mortgagees, trustees, vendors, lessees and bailees. Insurable interest for any entity must exist at the time the loss occurs. Risk Of Loss - If property could never be destroyed, there is no risk of loss. If property must necessarily disintegrate or be destroyed, there is no risk of loss. Between these two extremes is the exposure of risk that can be insured. Request a free Washington Camp insurance quote in Aberdeen, Anacortes, Arlington, Auburn, Bainbridge Island, Battle Ground, Bellevue, Bellingham, Bonney Lake, Bothell, Bremerton, Burien, Burlington, Camas, Centralia, Chehalis, Cheney, Clarkston, College Place, Covington, Des Moines, DuPont, East Wenatchee, Edgewood, Edmonds, Ellensburg, Enumclaw, Ephrata, Everett, Federal Way, Ferndale, Fife, Gig Harbor, Grandview, Hoquiam, Issaquah, Kelso, Kenmore, Kennewick, Kent, Kirkland, Lacey, Lake Forest Park, Lake Stevens, Lakewood, Liberty Lake, Longview, Lynden, Lynnwood, Maple Valley, Marysville, Mercer Island, Mill Creek, Monroe, Moses Lake, Mount Vernon, Mountlake Terrace, Mukilteo, Newcastle, Oak Harbor, Olympia, Othello, Pasco, Port Angeles, Port Orchard, Port Townsend, Poulsbo, Pullman, Puyallup, Redmond, Renton, Richland, Sammamish, SeaTac, Seattle, Sedro-Woolley, Selah, Shelton, Shoreline, Snohomish, Snoqualmie, Spokane Valley, Spokane, Sumner, Sunnyside, Tacoma, Toppenish, Tukwila, Tumwater, University Place, Vancouver, Walla Walla, Washougal, Wenatchee, West Richland, Woodinville, Yakima and all other cities in WA - The Evergreen State.